A video can do a whole lot more than deliver information to your tribe. If done right, video has the power to tell a story that moves, inspires, motivates and captivates the viewer. But, creating episodic video content that people can’t wait to consume takes a lot of time, energy and often times, a great deal of frustration. 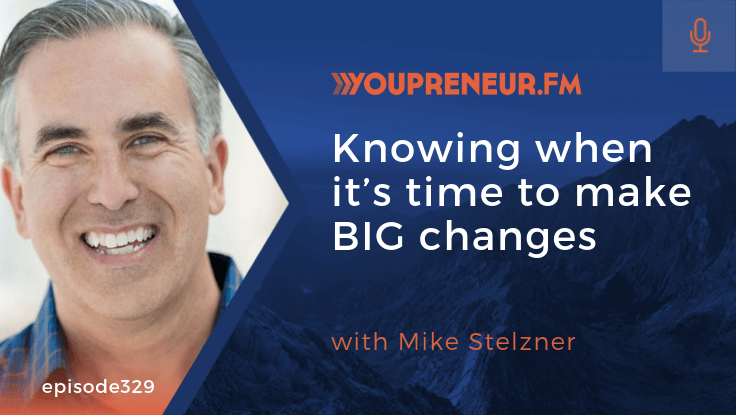 In this episode of Youpreneur FM, I’m joined by my good friend and founder of Social Media Examiner, Mike Stelzner. One thing you need to know about Mike is that he’s probably one of the most transparent entrepreneurs doing business in the online world. He never holds back. Amazingly, he’s managed to rebrand himself over the last 18 months with his weekly video show, The Journey. Mike and I discuss his show in more detail covering why he launched it and how he was able to use the numbers and data behind his own content marketing to help him discover how his show was (or wasn’t) being consumed. Using this information, Mike was able to make some ridiculously drastic changes to completely transform the show and reach an even bigger audience. Find out how he did it by tuning in to the episode!